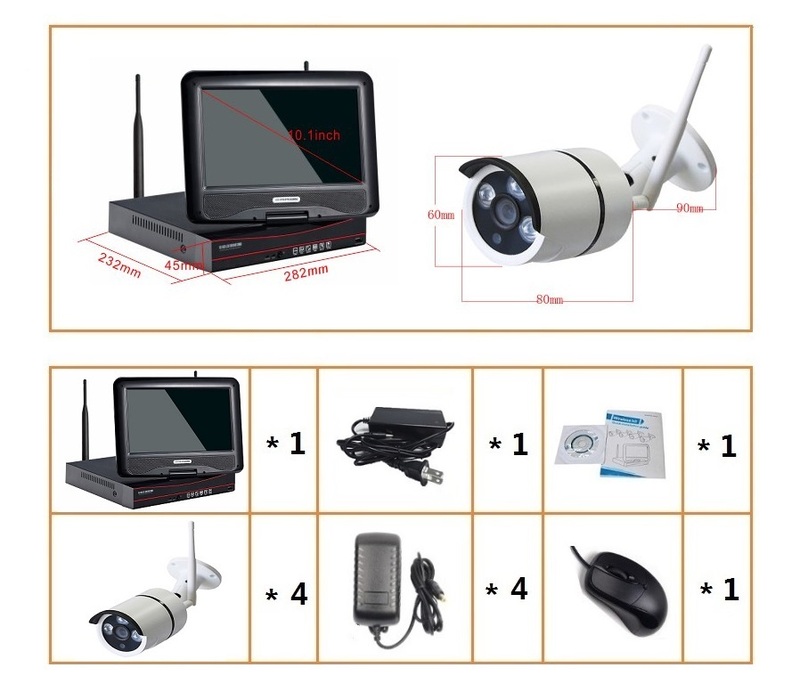 · 4 channel security camera system is easy operation, only need to plug them in power and connect them with wire to start working. 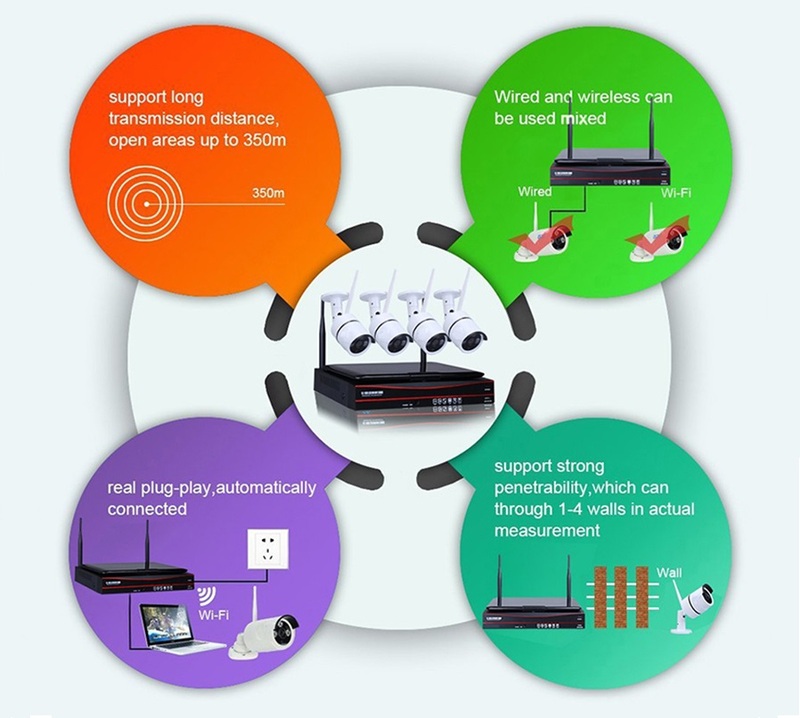 · 720P/960P/1080P 4 Channel NVR recoder with 4*720p(1.0Megapixel) WIFI IP Camera. 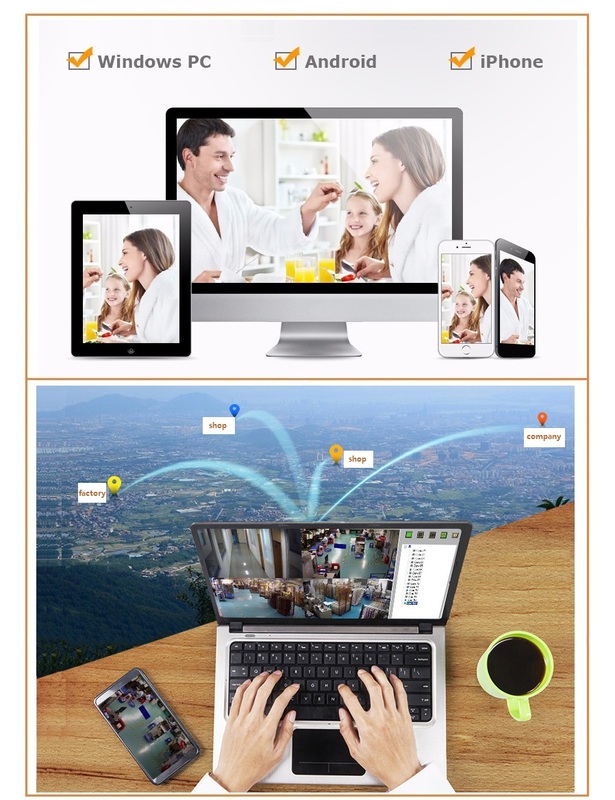 · Free App for remote view and control ,motion alerts on PC,iPhone, iPad, and Android devices with WiFi or 2G/3G/4G network anytime anywhere! * 4ch 1080/4ch 960P/4ch 720P Real Time Recording. * 1ch 720P or 960P realtime playback. 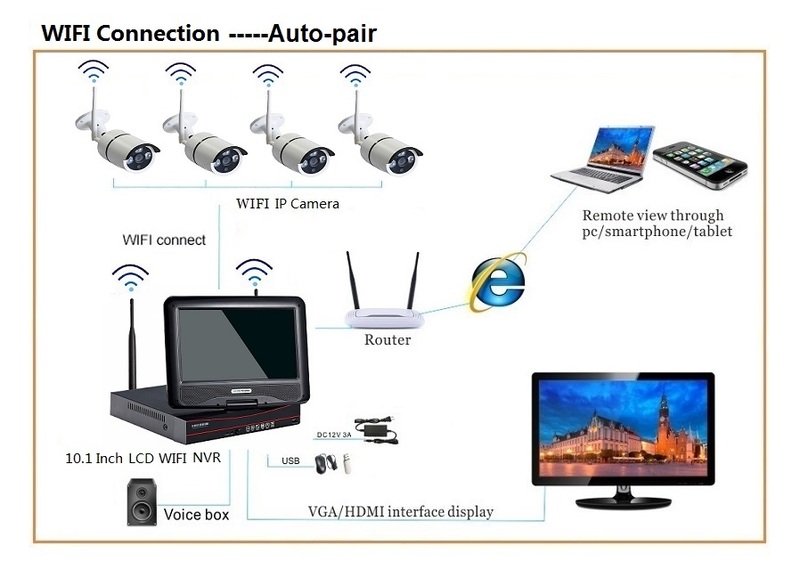 * VGA , HDMI , USB interface. * Support 28 Multi-Languages in UI. 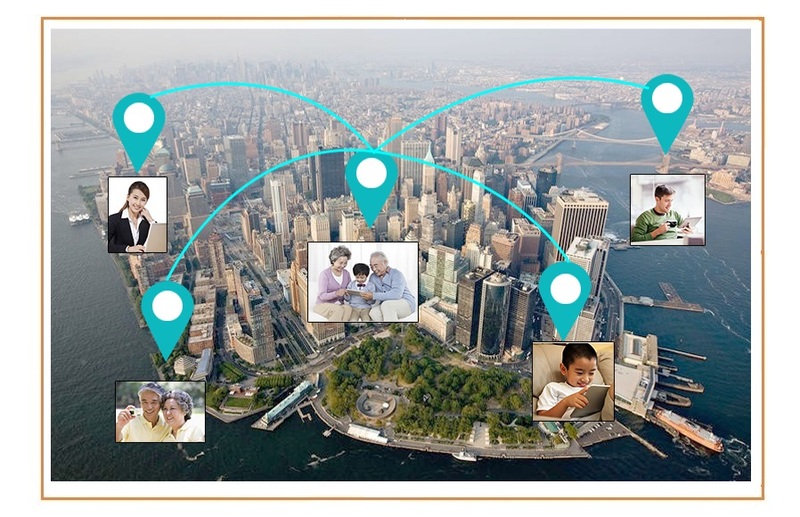 * P2P cloud technology reliazed remote view by phone. * PC Client View: Which means you can install a PC Client Software on your computer, support Windows and MAC PC. 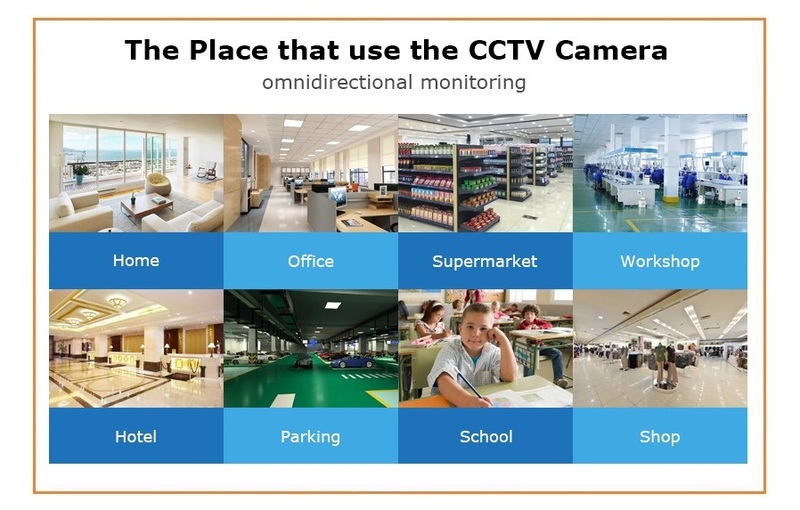 You can customize the motion detection area of each camera, and get motion alerts with video clips for that area only. 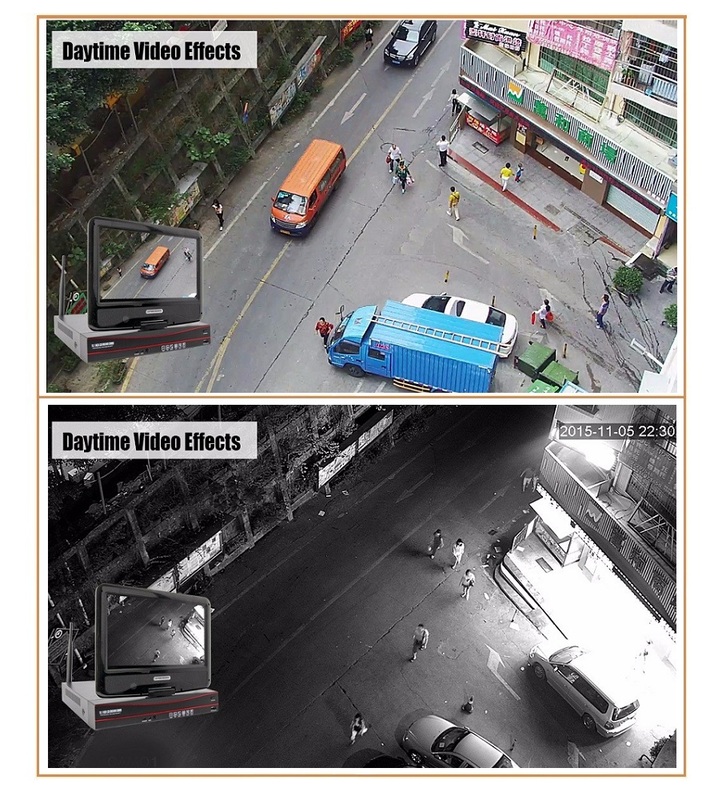 Providing solid evidence of a criminal behavior by just downloading the motion video clips in App. 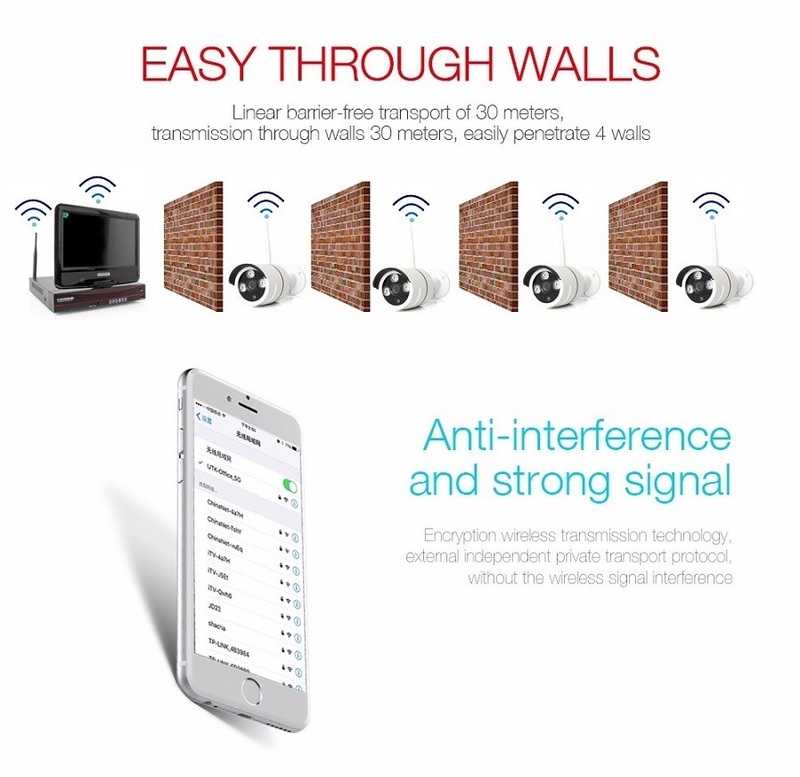 Security alarm system receive email alerts and mobile notifications when motion is detected. 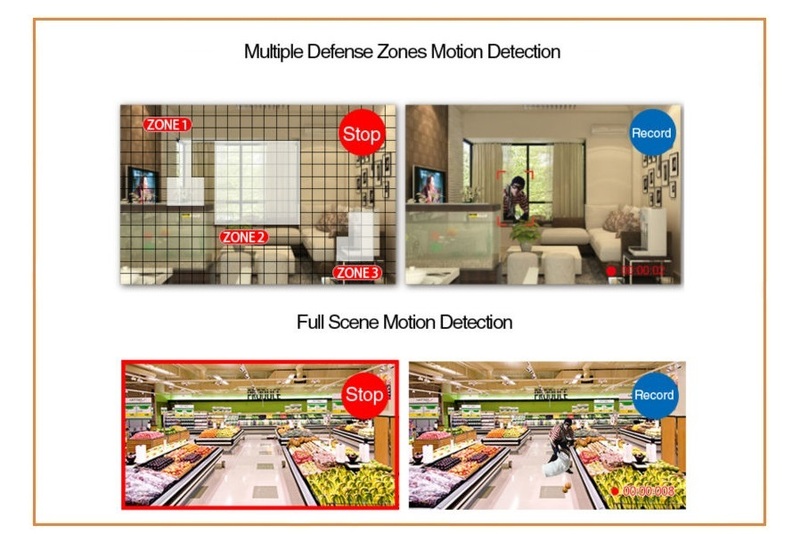 Multiple Defense Zones : When subject appear in any defense zone ,the NVR will start recording. 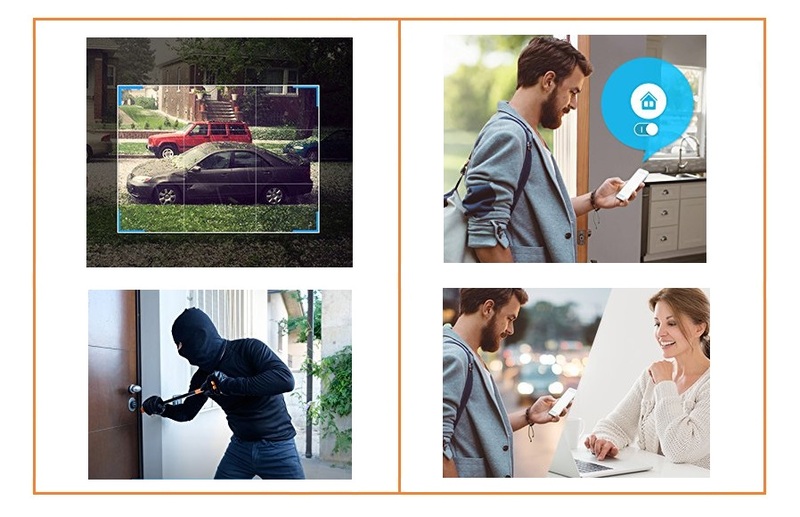 Full Scence : When any subject appear in scene,the NVR will start recording. 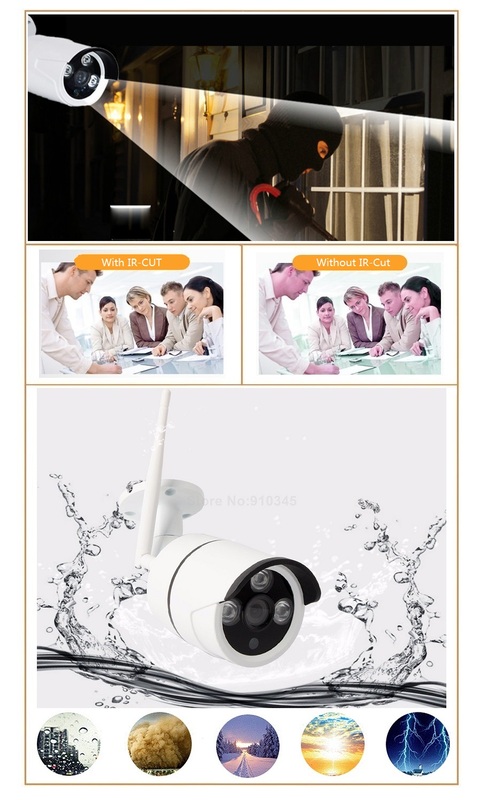 5.【Plug to Play, Auto-pair】CCTV Surveillance system featuring AUTO-PAIR technology, cameras will auto-pair to NVR recorder,easy setup without wi-fi configuration.you only need to plug them in power to start working,you'll have a live view of cameras on monitor instantly. 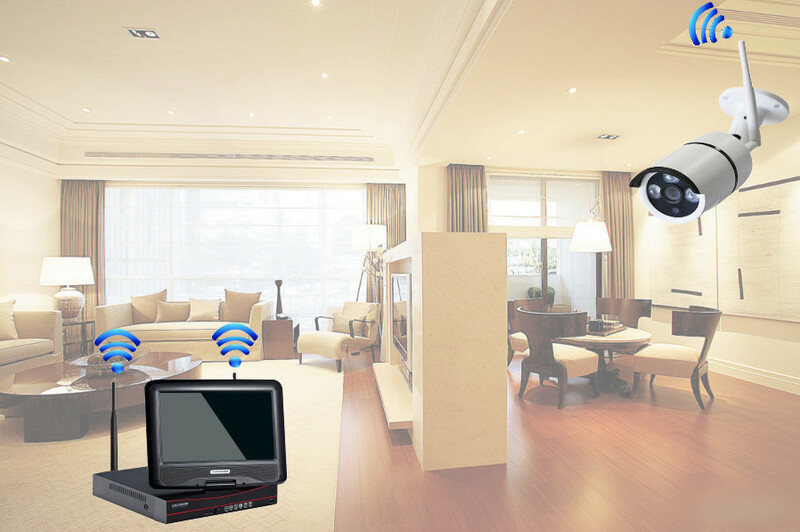 * When there are more than 2 walls between camera and NVR, we suggest using extendable antennas to bring camera’s antenna inside walls while leaving camera out; or use network cable to hard wire the camera to NVR. 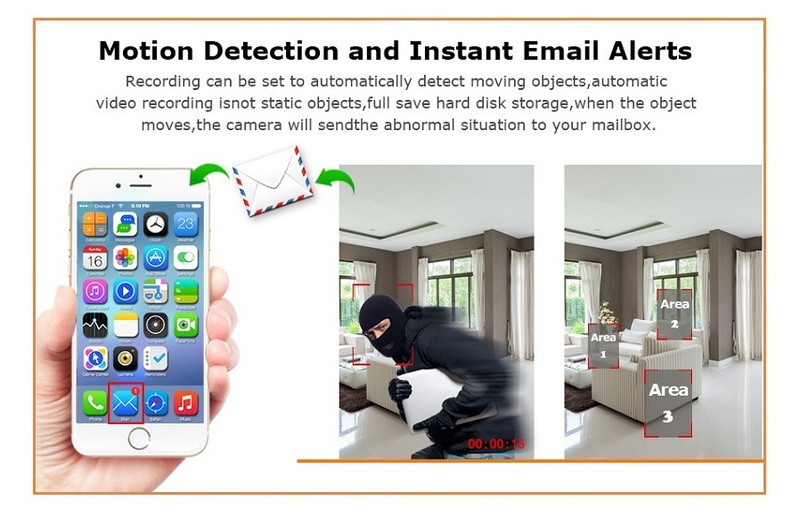 * Step1: Power on the cameras and NVR recorder. 9. 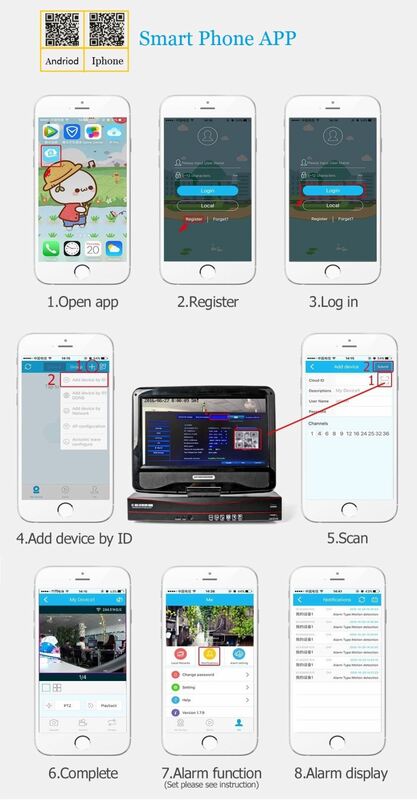 [ Application ]It’s widely used in home,office ,surpermarket,workshop,hotel,parking,school,shop and any other place. 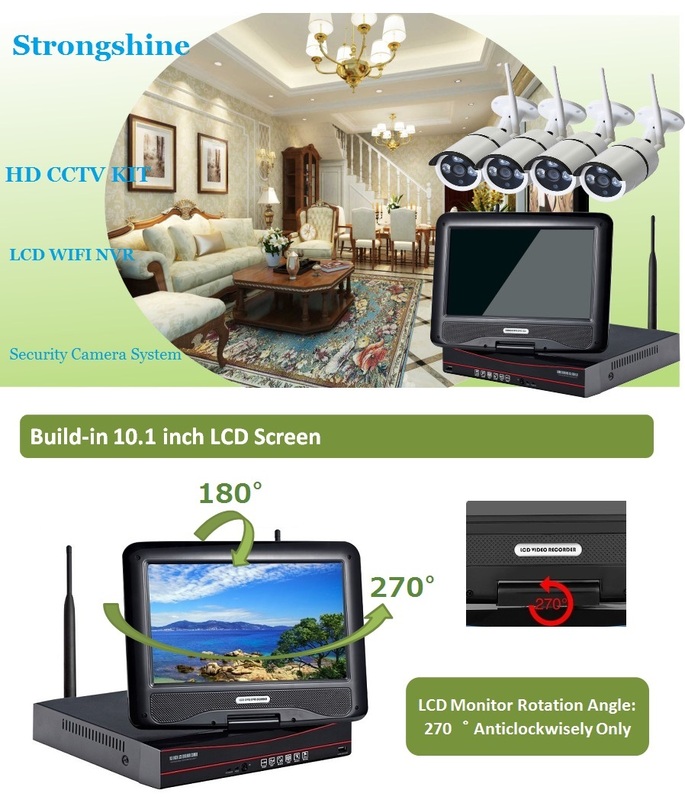 Monitor Quality 4ch 1080/4ch 960P/4ch 720P Real Time Recording. 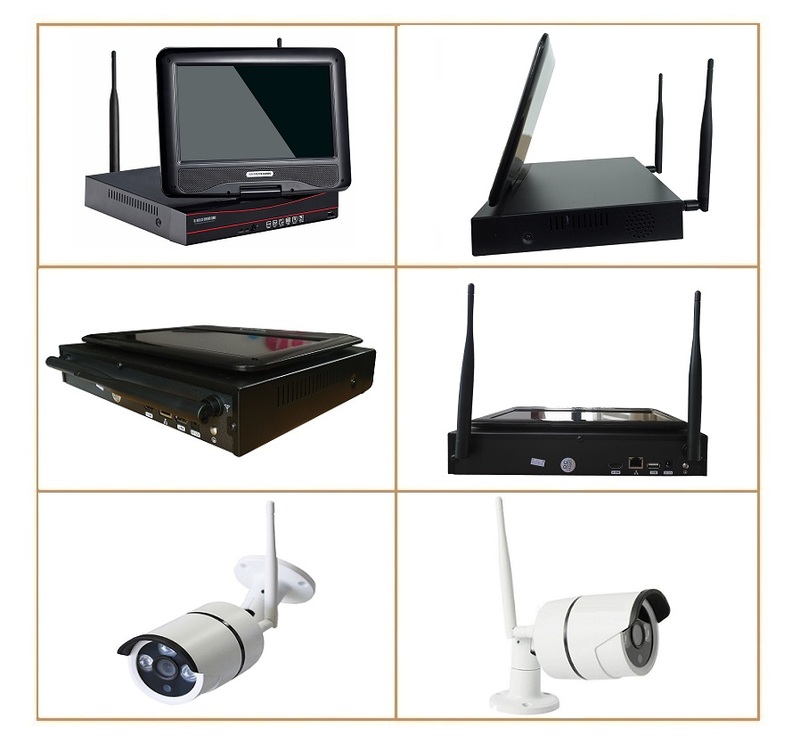 Playback Quality 1ch 720P or 960P realtime playback.